Bruce started his career as an employee at Wilcox Nursery & Landscape, one of Pinellas County’s oldest continuously operated garden centers (since 1951). He began in the nursery and doing landscape design and installation, building on his Florida State University education in creative arts and business. Steadily through the years, he converted much of the Wilcox inventory to native plants, became responsible for operations management and eventually bought out the business, where he now employs a half-dozen designers with a constant backlog in native landscape projects, both commerical and residential. 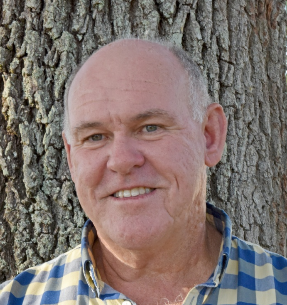 Bruce is the president-elect of the Florida Association of Native Nurseries (FANN) and president of the Native Plant Horticulture Foundation, for which he is a founding board member. Bruce has been an active contributor to his local Pinellas Chapter of the Florida Native Plant Society as well as many other Pinellas civic and green groups. He regularly gives educational programs on native plants and their use in ecological landscape design.